I consider some of the albums residing in my respectable but eclectic collection of vinyl records, deteriorating cassette tapes and CDs to be extraordinary not because the music is particularly unique or jaw-dropping spectacular but because over the years I’ve found myself pulling them out of my stacks for a spin more often than 99% of the rest. 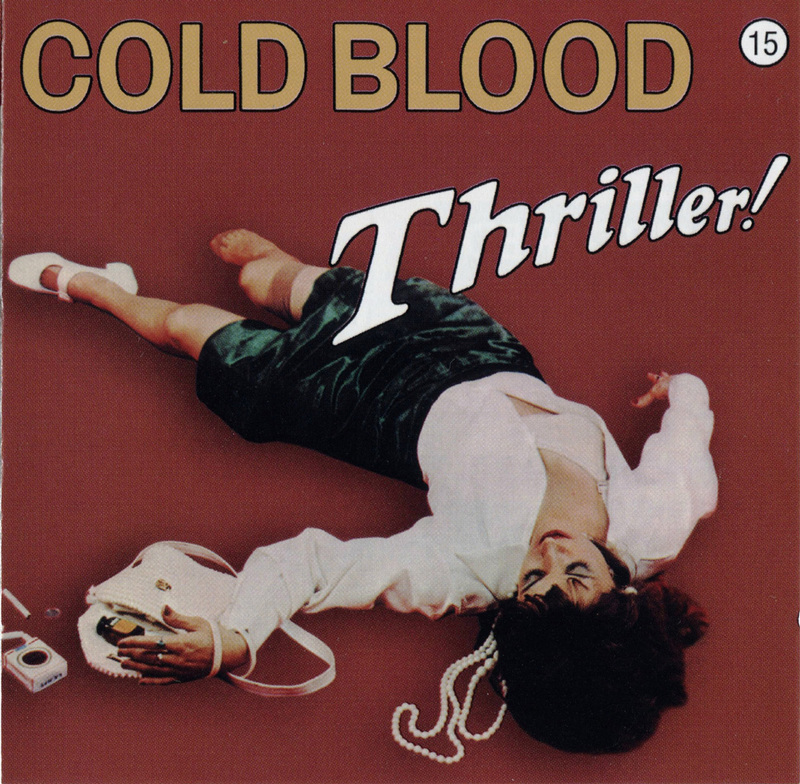 Cold Blood’s “Thriller!” has that distinction. It’s a record I’ll gladly choose to hear when I want to indulge in some quality big band-styled jazz/rock but it’s also one of those albums I’ll opt to play whenever I’m not sure of what mood I’m in, much less what music will appease my unspecified mindset. And that should speak volumes about it right there. When a guy like me who’s adored music since he was a child yet gets bored with the majority of albums after a few months of absorbing them avers that he’ll willingly listen to this baby on almost any occasion it must be good. It is. By 1973 this Northern California-based outfit had cut and released three albums previously, each one a little better than the last. Despite that gradual improvement they had yet to produce the elusive smash hit single that would give them the boost of nationwide exposure, pushing them over the hump of being a cult favorite into the profitable waters of the mainstream. I don’t know this for sure but it seems to me that for this, their fourth issue, they decided to veer from their usual method of picking material and instead cover songs that had a proven pedigree instead of rolling the dice again with obscure numbers composed by band members, producers or staff writers. “Thriller!” is by no means a masterpiece but it certainly makes for a damn good listen. Of the seven tunes in the lineup, five are exceptional and that’s an impressive ratio if you ask me. Unfortunately they begin with the runt of the litter, “Baby I Love You” by Jerry Ragavoy. Michael Sasaki’s funky chord riffing is soon joined by Raul Matute’s bubbling clavinet, Gaylord Birch’s drums and Rod Ellicott’s bass to establish a too-busy groove before their little fireball of a singer Lydia Pense enters backed by the effervescent Pointer Sisters. It’s all an intriguing combination but it fails to fulfill expectations due to a disconcerting lack of focus for most of its six-minute duration. Only in the track’s final segment does it find its true purpose and by then it’s too late. Don’t get discouraged, though. They redeem themselves with the next song, Stevie Wonder’s “You Are the Sunshine of My Life.” Raul’s reverberating Rhodes paints a dreamy introduction to this terrific, timeless tune and Lydia’s sincere vocal suits the subtle big band arrangement perfectly. Matute’s aggressive electric piano ride is drenched in a sea of sometimes disorienting echo, lending a trippy edge to the song’s romantic atmosphere but the horn section keeps it well-grounded until Skip Mesquite’s fluttering flute solo gives it wings. I’ve always liked what they did with this classic and it has nothing to do with it being me and my first live-in girlfriend’s “special song.” I swear. Cross my heart and hope to die. “Feel So Bad” is one of those tunes that sneaks up on you. They cleverly play with the downbeat at the beginning (a ploy that always piques my interest and consumes me until I triumphantly locate it and lock it down inside my head) and then the full, brassy horns lurking behind Pense’s husky voice slide in to give her solid support. And who among you can resist a line like “feel so bad/feel like a ballgame on a rainy day…”? Not me, brother. Michael’s guitar ride is devilish in its slinkiness just before the second movement starts wherein the underlying beat turns into a straight-as-an-arrow parade ground strut and the massive marching horn ensemble grows and grows until they’re a behemoth force of nature ravaging the landscape like an F5 tornado. You gotta hear it to believe it. Suddenly they drop back to the song’s original cool aura prior to confidently walking it right out the studio door and out of sight. Yowza. That’s how it’s done, folks. They follow it with a lukewarm rendition of Robbie Robertson and Richard Manuel’s “Sleeping,” a smooth ballad with a nice acoustic piano foundation and one that features a fine mixture of horns and strings. Mesquite turns in a decent saxophone lead but the track is tardy in finding its momentum and Lydia’s overwrought vocal sounds like she’s trying a tad too hard to make up for that deficiency. If you like loud-and-in-your-face horn sections, if you like Tower of Power or Blood, Sweat & Tears-ish jazz served up with a ton of attitude and if you like any of the aforementioned Wonder, Scaggs or Withers compositions then this is your ticket to paradise. Big band rock has all the ghastly appearances of being forgotten and left behind, buried in the weed-covered graveyard of popular music and that’s a tragedy. When performed properly it was a delight to my senses because it combined the classy air of jazz with the spunky charisma of rock & roll (two of my preferred genres). 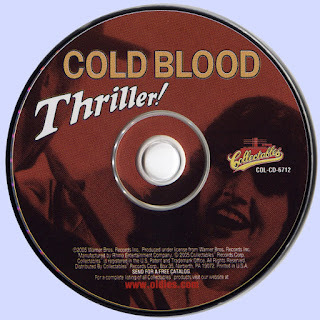 Therefore albums of this lofty caliber will always hold an esteemed spot in my heart. If you’re under the age of 45 or so and missed out on hearing what large, boisterous, horny groups like Cold Blood could conjure up in the jazz/rock room of your soul then I can’t recommend this album more emphatically.